The European Charter for Equality of Women and Men in Local Life is addressed to the local and regional governments of Europe, who are invited to sign it, to make a formal public commitment to the principle of equality of women and men, and to implement, within their territory, the commitments set out within the Charter. Equality of women and men constitutes a fundamental right for all, and an essential value for every democracy. In order to be achieved, this right needs not only to be legally recognized, but to be efficiently applied to all aspects of life: political, economic, social and cultural. As the spheres of governance closets to the people, local and regional authorities represent the levels best placed to combat the persistence and the reproduction of inequalities, and to promote a truly egalitarian society. They can, through their competences, and through co-operation with the whole range of local actors, undertake concrete actions in favour of equality of women and men. How to sign the Charter? You should also inform the national coordinator in your country of the signature of the Charter. You will receive an e-mail from the Secretariat of the Observatory to acknowledge the receipt of the signature of your local/regional authority who will then be formally recognized as a Signatory of the Charter. In this email, you will get a username and a password that will allow you to add your Signatory form in the Atlas . This form is presented like a questionnaire inviting you to share general information about your local/regional authority and information about the actions that you have already carried out in the field of equality between women and men. 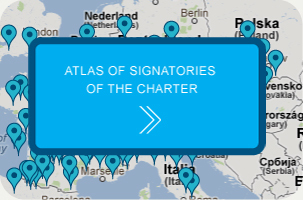 The Atlas of Signatories of the Charter is a tool that for identifying signatories, their action plans and good practices. 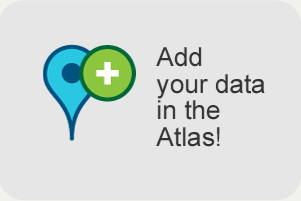 Be present in the Atlas allows you to increase visibility of your local/regional authority at European level, to disseminate and promote your actions on equality between women and men. You can also learn from good practices carried out by your European neighbours. The objective of this tool is to facilitate exchange between signatories and to encourage the development of decentralized cooperation and twinning-projects in the field of equality between women and men. Sign the Charter: what does it concretely mean? Each Signatory to this Charter will, within a reasonable timescale (not to exceed two years) following the date of its signature, develop and adopt its Equality Action Plan, and thereafter implement it. The Equality Action Plan will set out the Signatory’s objectives and priorities, the measures it plans to take, and the resources to be allocated, in order to give effect to the Charter and its commitments. The Plan will also set out the proposed timescale for implementation. Where a Signatory already has an Equality Action Plan, it will review the Plan to ensure that it addresses all of the relevant issues under this Charter. Each Signatory will consult widely before adopting its Equality Action Plan, and will also disseminate the Plan widely once adopted. It will also, on a regular basis, report publicly on progress made in implementing the Plan. Each Signatory will revise its Equality Action Plan as circumstances require, and will draw up a further Plan for each following period. Each Signatory undertakes in principle to co-operate with an appropriate system of evaluation to be established to enable progress in implementing this Charter to be assed, and to assist local and regional governments across Europe to learn from each other on effective means of realising greater equality of women and men. It will make its Equality Action Plans and other relevant public materials available for these purposes.